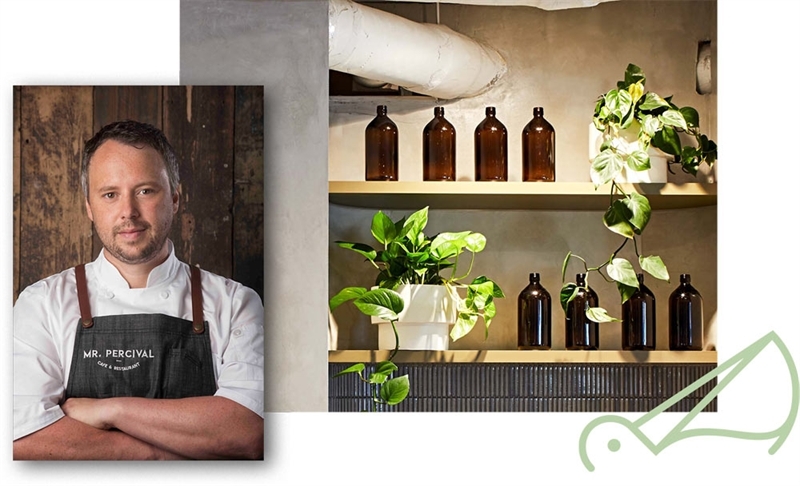 Miso cured salmon fillet, ginger and soy emulsion, wombok and pear, poached egg, black sesame and radish. 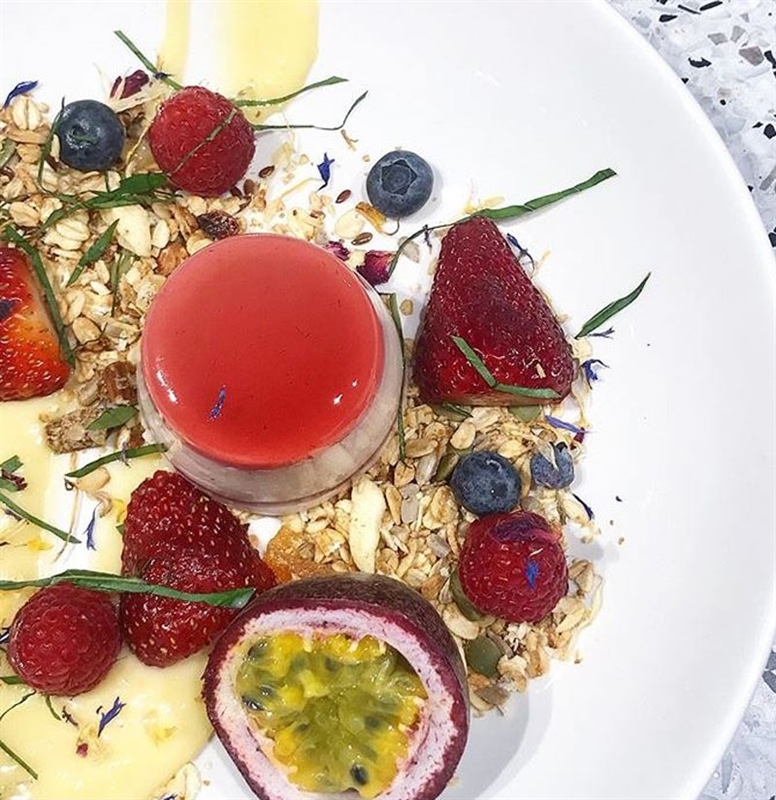 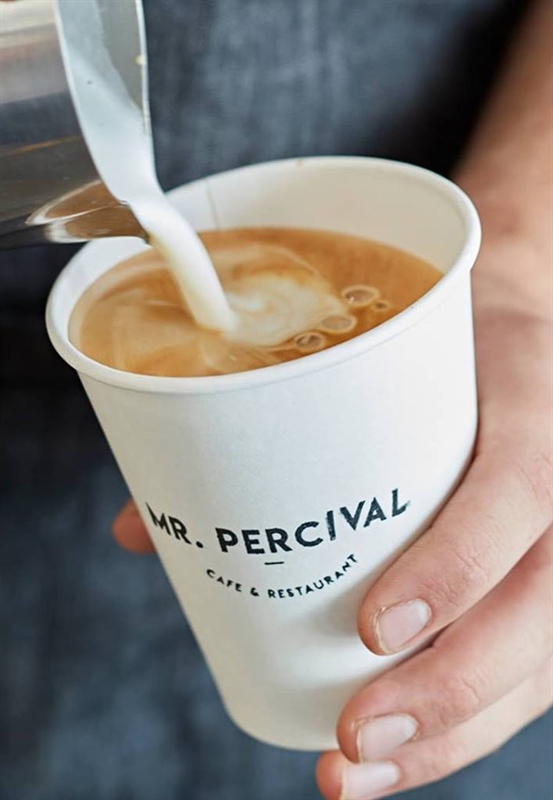 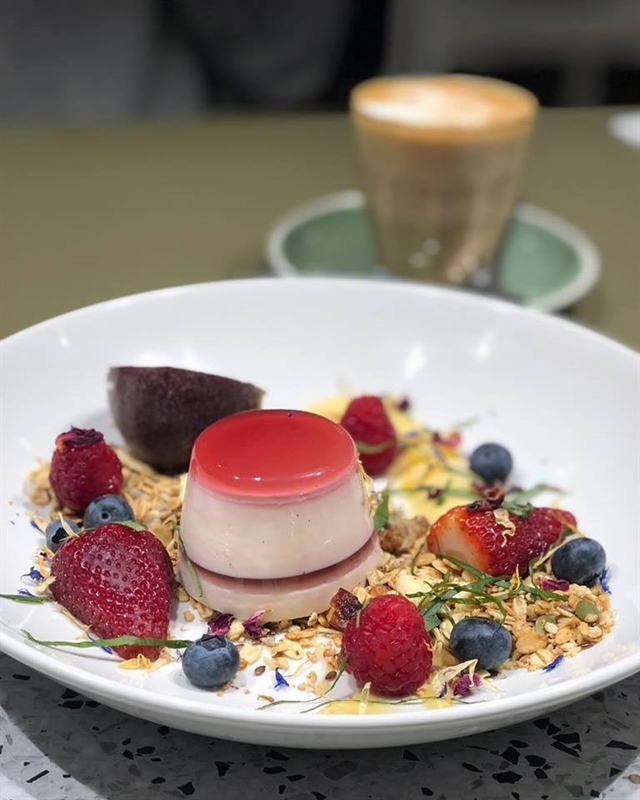 Mr Percival Café & Restaurant on Queens Road is the new destination diner for Melbourne inner city foodies. 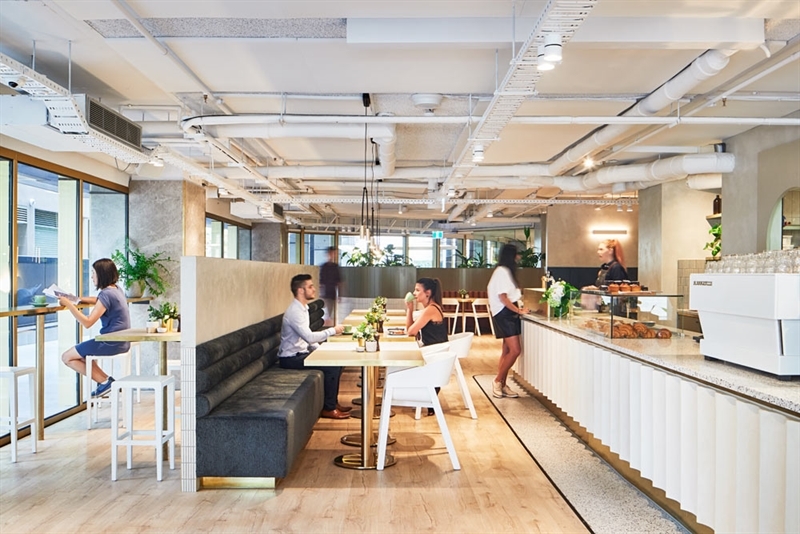 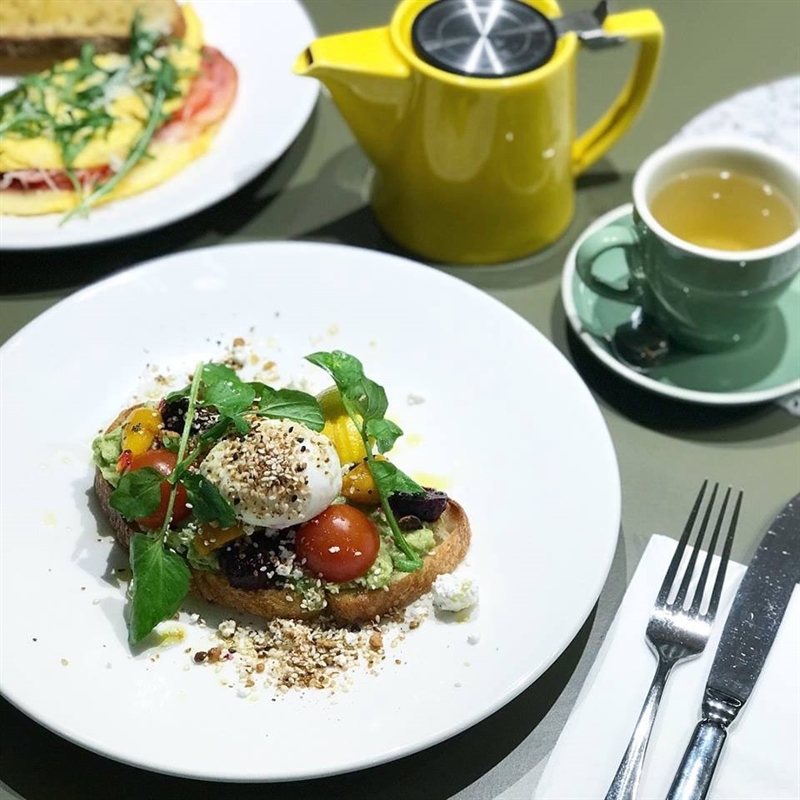 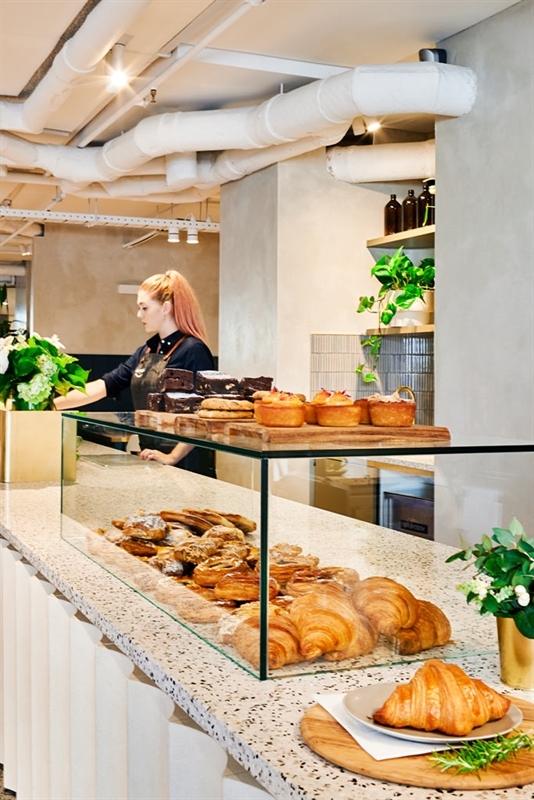 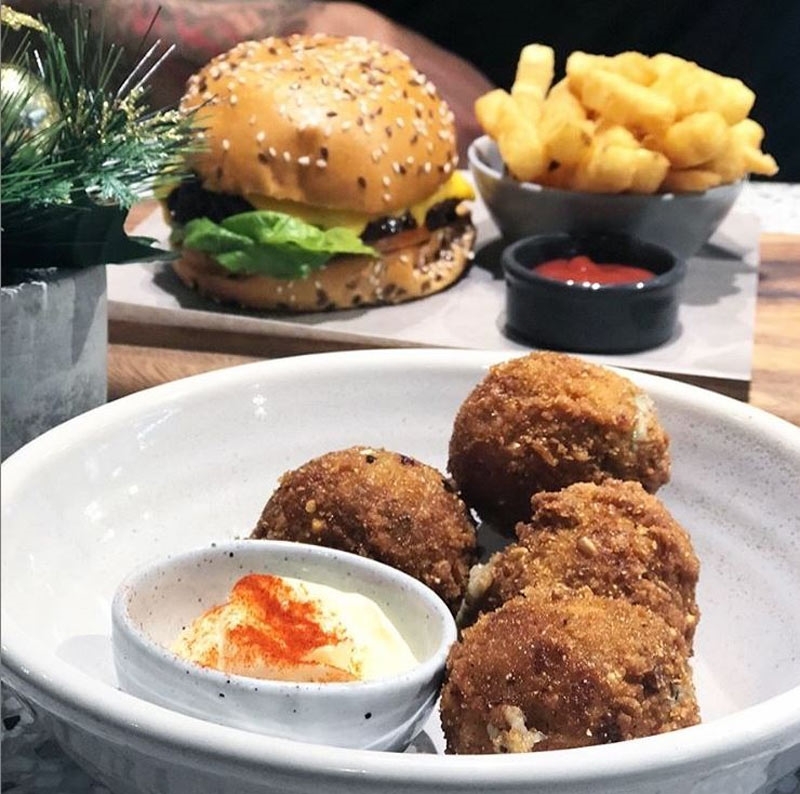 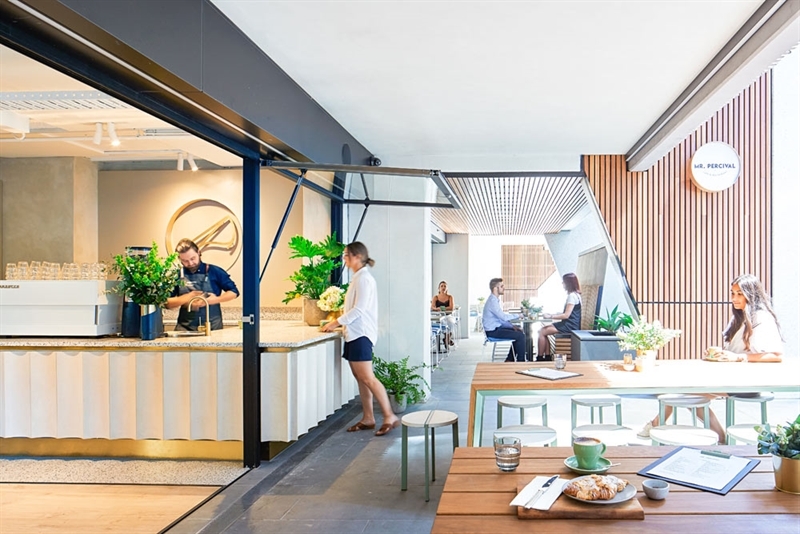 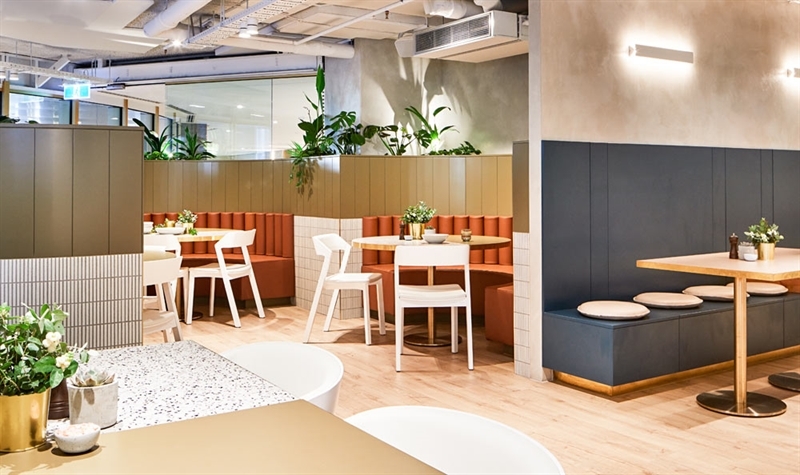 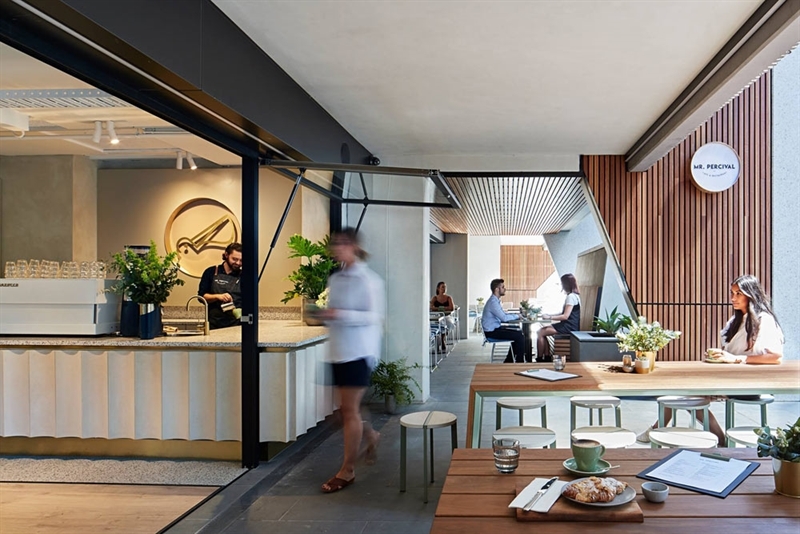 With entry from Queens Lane, this modern eatery has a relaxed, yet sophisticated ambiance, with wood panelling, livened by charcoal and ochre tones and splashes of greenery, creating an ideal vibe for everything from business lunches to coffee catch-ups. 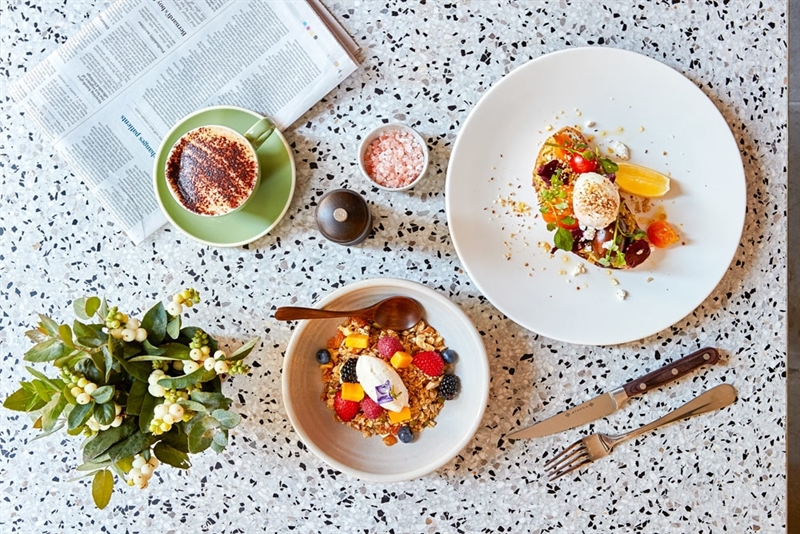 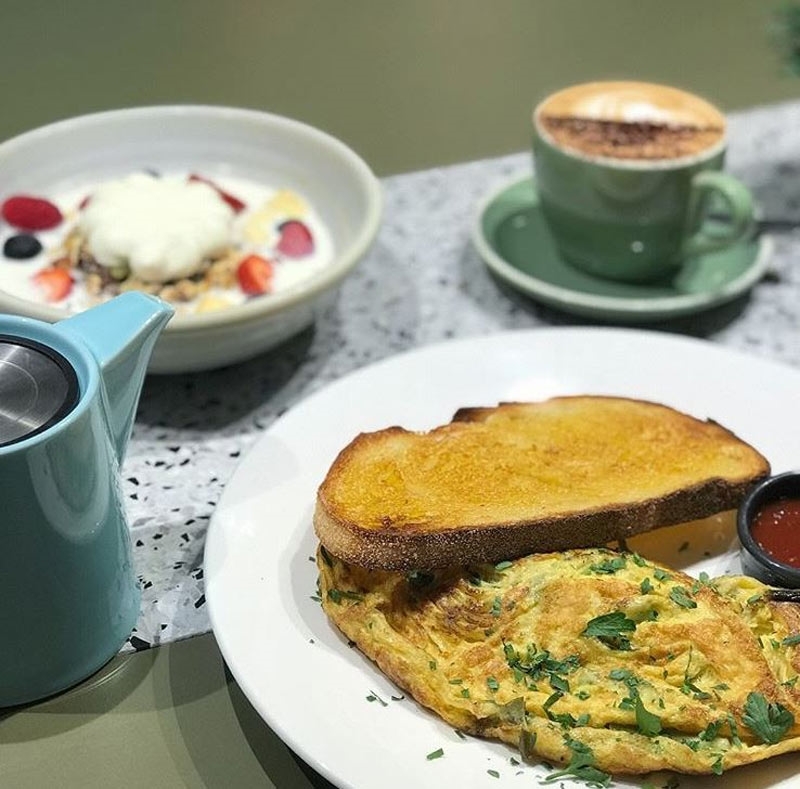 A stylish and rustic Mod Oz menu boasts brunch dishes like zucchini fritters, poached egg, roast cauliflower, orange, rocket, beetroot puree, crème fraiche, ras el hanout fried chickpeas. 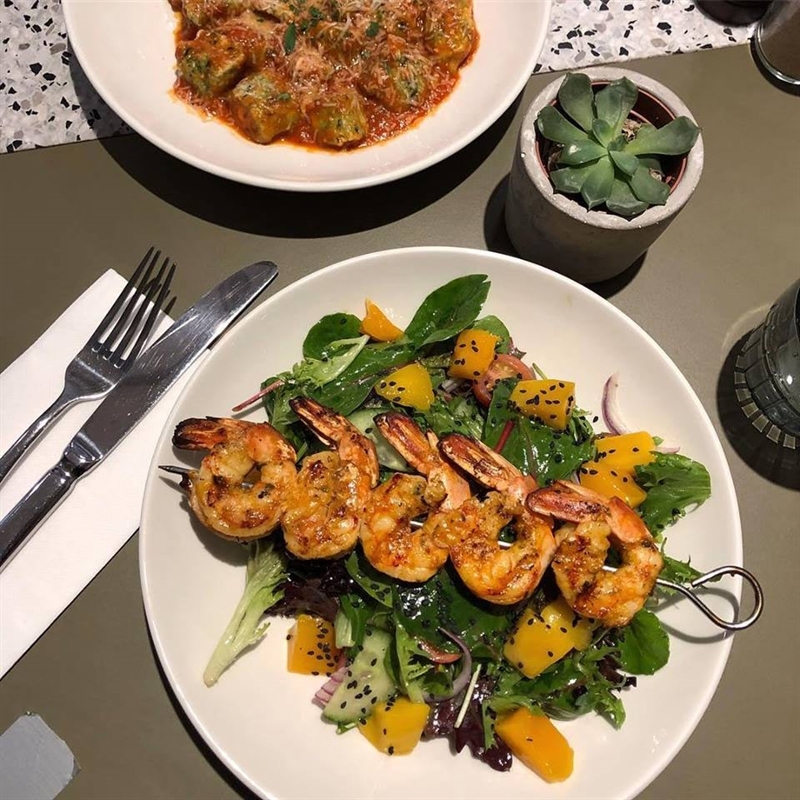 Pasta temptations are housemade fresh daily and complemented by mains like char-grilled chicken breast salad, slow cooked green beans and baba ganoush – pair your fare with a glass from a carefully curated collection of imported and local wines.